Austrian multinational confectionery company PEZ International is reportedly planning to enter the Chinese market in the second half of 2017. The confectionery company, which already has a worldwide presence, will enter China with its regular sweets dispensers and licenses and will focus on big cities. 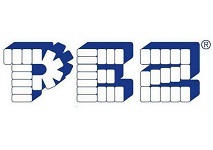 Commenting on the move, a PEZ International spokesman commented “Many people in China are looking for European brands”. Together with US-based PEZ Candy, PEZ International sells 70 million sweet dispensers and 5 billion individual sweets annually across more than 90 countries.